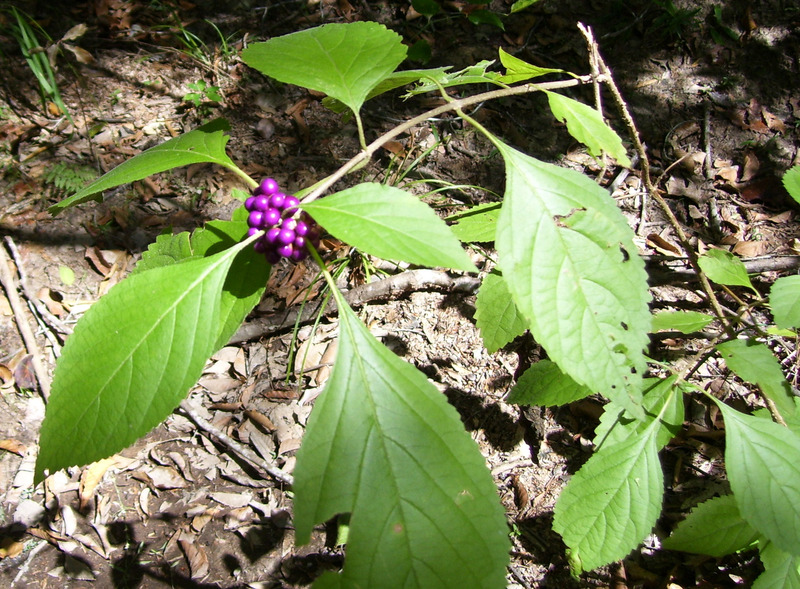 Beautyberry is native to China, Vietnam, Korea, and Japan; and cultivated in the United States for hedges. 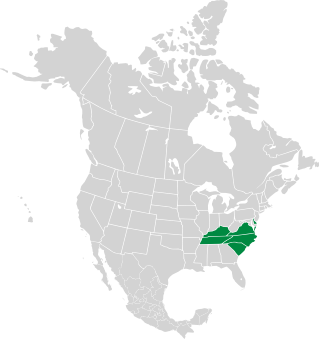 It is also naturalized in a few states. Plants: Shrubs are deciduous, and typically 3-4' (91-121 cm) high and 4-5' (1.2-1.5 m) around. Leaves: Opposite, simple, bright medium green leaves, all on the same plane. Leaves are 1-3" (2.5-7.6 cm) long. Flowers: Lavendar-pink, appearing June to August. Fruits: Brilliant purple showy berries in clusters. (Some cultivars have white berries.) They remain after leaves fall, looking even more dramatic. Edibility: Berries are bitter, mealy, and inedible, though they are popular with squirrels and mockingbirds. Many sources consider them to be poisonous. Callicarpa dichotoma description by Thomas H. Kent, last updated 12 Oct 2018.